Today, we announce No. 18 on our list as the Utah High School Activities Association announced the addition of lacrosse as one of its official activities. Since 1990, when it officially added softball, the Utah High School Activities Association had added just one other sport to its slate of sanctioned activities. That happened in 2008 when girls golf came online for high schools in Utah. In May 2017, unable to ignore one of the nation’s fastest-growing sports, the association’s board of trustees announced that it sanction boys and girls lacrosse beginning in the 2019-2020 school year. The rarity of sports being added to the official mix for Utah high school students makes this announcement significant as it brings the number of sanctioned sports at Utah high schools to 11 for boys and 11 for girls. Lacrosse in the state has been on a steady growth curve for a number of years through club programs, and at some schools in Utah, lacrosse is the second-largest sport, in terms of participation. The number of high schools in the state currently participating in club lacrosse is approaching 50 and that is likely to increase with this announcement. The sport has long been a staple particularly in the northeastern states, but it has continued to spread west in a big way. The UHSAA has yet to place lacrosse specifically into a season, but it is generally considered a spring sport and is likely to join baseball, softball, boys soccer, boys tennis, girls golf and track and field in that part of the school year. As mentioned in the official release from UHSAA announcing the decision – “Our outstanding female and male student athletes will now have the opportunity to participate and succeed in yet another extracurricular activity. When so many students are already participating in this sport, it’s important to let them participate and represent their schools and earn a varsity letter or Academic All-State honors,” said Amber Shill, a member of the UHSAA Board of Trustees and Canyons Board of Education. 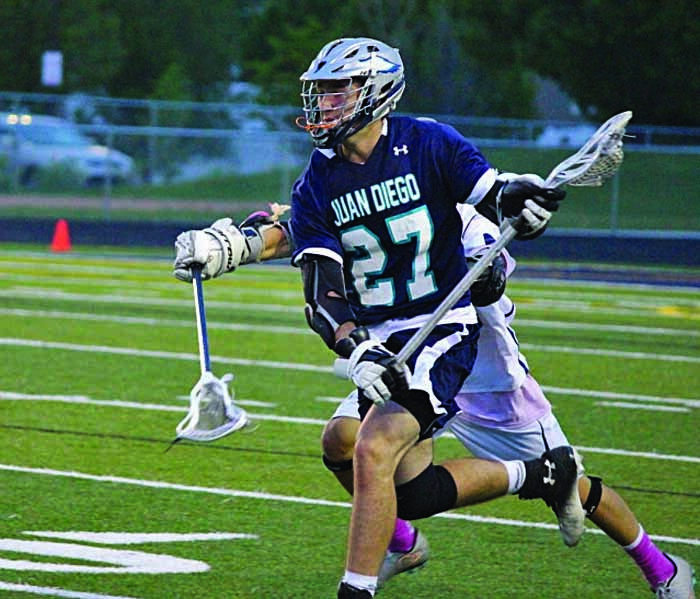 The decision to allow Utah high school athletes to receive support from the state’s governing board as they choose to play lacrosse is No. 18 on our TOSH Top 25 stories of the 2016-2017 school year.